MANILA, Philippines — Barangay Ginebra PBA governor Alfrancis Chua said yesterday even as Justin Brownlee wasn’t named the Best Import for the just-concluded Governors Cup, he’ll receive the bonus anyway stipulated in his contract like the award was given. 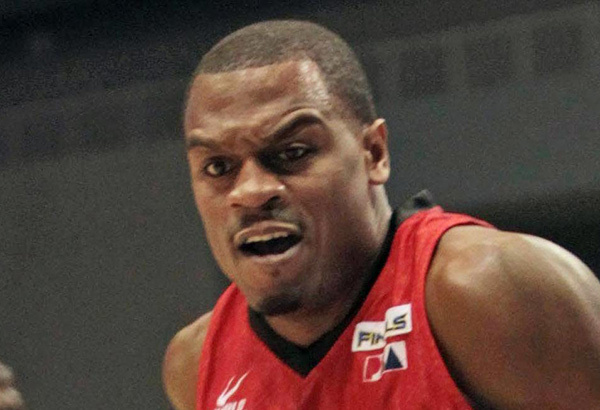 Brownlee, 29, is the first import in Ginebra franchise history to lead the team to a second title. He’s also the sixth import in PBA history to win back-to-back titles in the same conference after Marqus Blakely, Lamont Strothers, Sean Chambers, Andy Fields and Bruce (Sky) King. In the recent Governors Cup Finals, Brownlee averaged 23.7 points, 12.3 rebounds and 5.1 assists. When Ginebra needed a big basket all series long, Brownlee delivered the clutch hits. In the Game 7 clincher last Friday, he knocked down 3-of-4 triples and played a key role defending the Meralco point guards. Cone said starting Japeth Aguilar instead of Greg Slaughter was another defensive tweak in Game 7. Slaughter had started in Games 5 and 6. “We wanted to jump switch the ball screen and Japeth did a good job of doing that because he’s quicker than Greg,” said Cone. “Japeth also extended to defend against the three-point shot, particularly if Reynel (Hugnatan) was on the firing end. That’s the reason why Japeth was in the game a little longer than Greg this time. Those defensive schemes worked well for us. But towards the end, we lost a bit of our discipline and let Meralco cut the margin to four. By then, it was too late for Meralco to take over the lead.” The results of Cone’s adjustments were evident. Newsome was held to only four assists when he had 11 in Game 6 while Hugnatan shot only 1-of-5 from beyond the arc from 6-of-12 in the previous contest. Chua said the team can’t thank San Miguel Corp. president Ramon Ang enough for his support and advice. Ang was supposed to take a flight to Hong Kong last Friday but cancelled it to watch the game on TV. Last Saturday night, Ang hosted a victory party for the team at the Manila Diamond Hotel. This afternoon, the team will be feted at the San Miguel Corp. head office complex. Chua had special words for LA Tenorio. “LA didn’t give up,” he said. “He played hurt and should’ve had his elbow surgery long ago. But he wanted to play, he wanted to win another title for Ginebra. He played over 40 minutes in each of the last three games. No choice because Sol (Mercado) was down. He gave it his all.” Tenorio underwent an elbow procedure at the Makati Medical Center last Saturday morning. Cone said he’ll be good to go in two or four weeks. Like Tenorio, teammate Joe De Vance played hurt in the Finals. He’s scheduled to undergo foot surgery before taking off for a US vacation. Orthopaedic foot and ankle specialist Dr. Emiliano Tablante will operate on De Vance to remove a bone spur and bunion in his left foot. “It’s the source of my hip problem,” said De Vance. “We’ll address it once and for all.” Cone said De Vance will miss a few games in the Philippine Cup next season to fully recover from surgery. “The surgeries on LA and Joe are long overdue,” said Cone.